This is my stop during the blog tour for Destiny Rising by Siobhan Davis. This blog tour is organized by Lola's Blog Tours. The blog tour runs from 1 till 21 September, you can view the complete tour schedule on the website of Lola’s Blog Tours. This series contains 3 books: True Calling (True Calling #1), Beyond Reach (True Calling #2) and Destiny Rising (True Calling #3). And two novella’s: Lovestruck (True Calling #0.5) and Light of a Thousand Stars (True calling #2.5). Another amazing Roller coaster read from Siobahn Davis. I have to admit the main question on my mind all the way through the series has been - Cal or Zane? One moment I would be convinced that Zane and Ari are meant for each other, the next I would be feeling the same way about Cal. I love the way Siobahn gets under the skin of her characters. They are all very different, and this adds to the enjoyment of the books, making them seem very plausible and easy to relate to. Some characters who seem pretty unpleasant to start with, turn out to be very different when the reason for their actions becomes clear, and again there are several surprising twists to the story which keep the reader guessing, and some interesting revelations about the relationships between some of the characters. All three main characters have grown and developed with each successive book. Ari especially has changed and matured, and is now starting to realise that there she has powers beyond the telepathic connection she and Zane share. The plot is fairly complex, a good Science Fiction background, with much political intrigue, battles, and loads of action and suspense. The reader is carried along with the characters and I could visualize everything as it happened. As with the first two books, this is a real page turner. The climax is exciting and amazing, and even when the main battle has been won there is more to come and one wonders if there can possibly be a satisfactory conclusion. There is so much packed into this story and so many twists and turns and it would be easy to give some hints, but if you haven't yet read this series I wouldn't want to spoil it for you. One disclosure toward the end confirmed suspicions I'd had for a while, and a question that hung over the series from the first book was answered.There were also other revelations that I certainly didn't see coming. A great finish to the series, and I love the way the author wrapped everything up at the end, answering all the questions and tying up any lingering loose ends, so the reader is left completely satisfied, a very enjoyable read. “It was beyond brilliant, totally unputdownable, wildly entertaining, edge of the seat action, full of suspense; it totally rocked. Loved the ending, loved the book.” Karla. Goodreads Reviewer. “This is without a doubt the best book this author has written so far. I loved it from the start until the end. This series shows how a love triangle can be done right. Destiny Rising evoked so many emotions in me … and the ending, wow, so powerful. I highly recommend this series.” Lola’s Reviews. “I cannot believe all of the whammy that this author packed into her book. It’s insane how quickly she’s put out these three books, and the quality is so incredibly good.” Danielle. 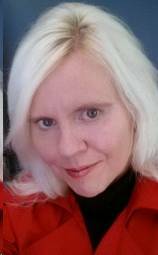 Paraeducator and Goodreads Reviewer. “The events in this book, especially the ones I thought I could handle, left my heart and mind racing. Siobhan Davis is an exceptional writer and she knows how to wrap a reader around her fingers.” Khayzelle. Written Arts Blog. Some secrets are worth fighting for. A self-diagnosed ‘teenager forever’—at least when it comes to books, music and movies; Siobhan is totally addicted to teen fiction and superhero/blockbuster movies. Siobhan loves baking, crime novels, shoes, bags, make-up, anti-wrinkle cream, anything pink, Kelly Clarkson, Katy Perry, and Robert Pattinson (definitely Team Edward). Siobhan has forged a successful corporate career, in Human Resources, over the last twenty years. Join Siobhan's mailing list to receive a free copy of Lovestruck. - e-copies of the whole True calling series by Siobhan Davis. Which is the following books: True Calling, Lovestruck, Beyond Reach, Light of a Thousand Stars and Destiny Rising. I'm so thrilled to be able to welcome back the talented Sky Purington today - congratulations on your latest release, Sky, I'm sure it's just as breathtaking and enjoyable as all your other stories in the MacLomain Series. Betrothed since birth to a lass he has never met, Chieftain Logan MacLomain thought the unending tie between his clan and the Brouns was long past. Never was he more wrong. 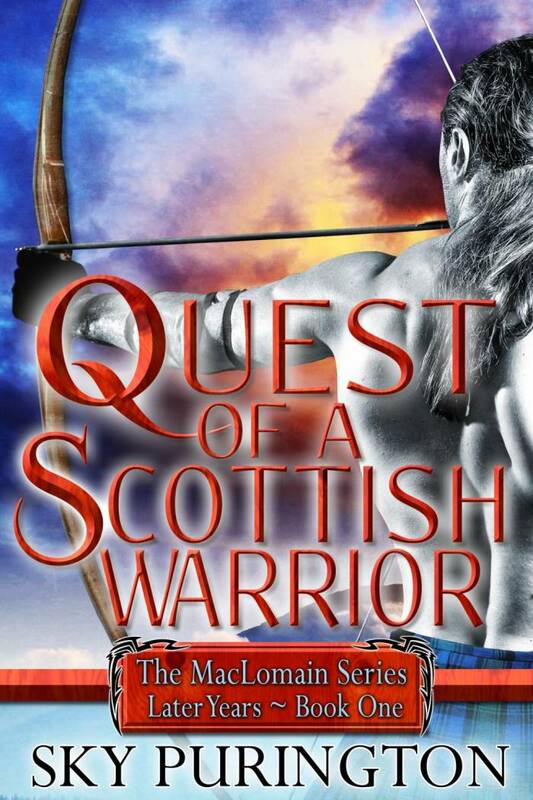 When Cassie appears in a skirmish on the border of his clan’s land, all his noble intentions are put to the test. To desire her is wrong but still he seeks her out every chance he gets. Just a glimpse of her passing smile brightens the honorable yet lonely path he must see through. Everything changes for Cassie and Logan the day war ravages a nearby village and a young king’s fate is put at risk. Scotland’s future hangs in the balance as denied love blossoms and four MacLomain warriors band together to save all that might soon be lost. Set to avenge the harm done, Logan embarks on a quest with Cassie that will take them both down a road fraught with risk, heartache and the beginning of an end they never saw coming. Cassie nodded and as they’d done the past couple of nights, they settled into comfortable conversation. She was a pleasure to chat with. Though humble, she possessed a sharp wit. He suspected had she pursued any of her college majors, she would have excelled. Yet the more he got to know her the more he sensed she lived her life a certain way…as if she knew its outcome already. Almost like someone planning to move to another country and preparing themselves for a different language and customs. Eventually, he intended to find out exactly what she was getting ready for. Whatever it was, it had her purposely changing subjects on a somewhat regular basis. “Ah.” This time he didn’t have to touch her to enjoy her becoming blush. His eyes dropped to her mouth when she licked her lips. He had never wanted to taste a lass so much in his life. When she cleared her throat, his eyes slowly returned to hers. “You should probably stop looking at me like that,” she said. “Oh,” she whispered, not shying away. “Oh,” she whispered again, her head tilting to give him more access. God, she tasted warm and sweet and so bloody soft. He gently peppered kisses along her jaw, desperate to reach her lips but equally eager to sample everything along the way. Sharp arousal speared him when her breath hitched and she squeezed her thighs together. Hell, he had known the lass less than a week and he’d already imagined a hundred different ways he wanted to make love to her. “Och, m’laird, ye should have gotten to that sooner,” Machara quipped as she came around the corner. born and bred, Sky was raised hearing stories of folklore, myth and legend. When combined with a love for nature, romance and time-travel, elements from the stories of her youth found release in her books.